This entry was posted on Tuesday, February 21st, 2017 at 4:27 pm. 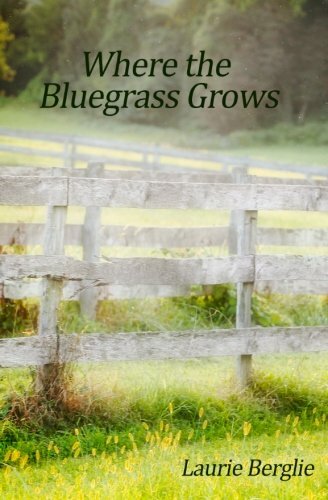 After a few months hiatus, I have finally picked back up with my writing, and am approximately 80% finished Book 2 of Where the Bluegrass Grows. Book 2 is what I’m calling a “semi-sequel” because this one is Macy’s story – not Molly’s. Of course, Molly does make numerous appearances! I’m really hoping to complete my first draft within another month or two, and then I should be able to finalize and edit throughout the summer. If all goes well, Macy’s story will hit the shelves sometime this fall! Unfortunately, I don’t have a title yet – I have a few that would work, but nothing has jumped out at me just yet. But it will come. In the meantime, below are some recent Amazon reviews for Where the Bluegrass Grows! Thanks to everyone who has purchased the book and then took the time to write a review! You guys rock! Saddle up! This was a fun read with horses playing supporting characters and contributing to a fun ride filled with young adult angst, romance, and friendship. This book has the makings of a series that horse fans will adore. Giddy Up, Laurie Berglie – we want more! Horses and romance. What else does a book need? Laurie Berglie’s first novel is one I recommend to my pony pals, and even to my not so pony pals. Definitely a fun and speedy read for anyone looking for a little horseplay. I just finished this book and really enjoyed it. I am actually not a horse person, but I had no problem following along. The author writes very well, and I hope she comes out with a sequel!